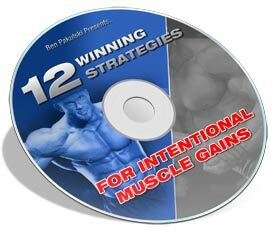 This past August at Vince Del Monte's Live Large LIVE -- a big fitness seminar in Toronto, Ontario -- Ben shared twelve winning strategies to build muscle and get strong, cut fat, boost performance and recovery, and improve joint, immune and general health. After watching this eye-opening footage — only made available to attendees paying $197 — you'll be a believer in his mantra: "The more you know, the more you grow." Even though bodybuilding is a sport where elite genetics are a critical factor toward success, Ben is a hulking testament that if you're willing to put more effort and intelligent thought into your nutrition and training, then you'll surpass the most genetically gifted rivals. And you'll be a hulking testament when you achieve your ultimate body. Enjoy the seminar and let us know how you liked it below.